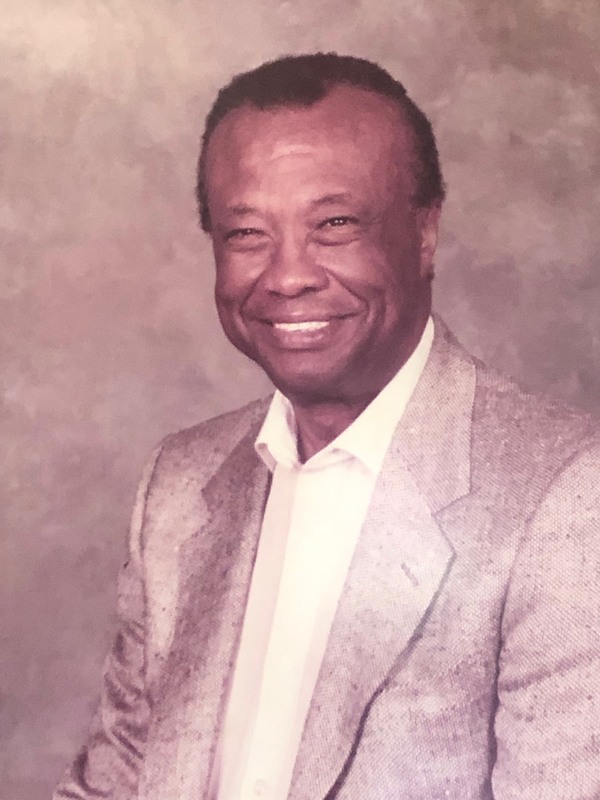 Dr. James Oliver Willie peacefully departed his earthly home on March 29, 2019. His life’s journey began January 31, 1924 in Jones County, North Carolina (NC) to the late James O. Willie and Beulah Barber Willie. His elementary education began at Johnson County Training School in Smithfield, NC. While growing up in Smithfield, NC., a local doctor, Dr. C. W. Furlong and two teachers in his high school, Marcellus Miller and John Winstead were the catalyst that helped influence his decision to go into the field of medicine. Dr. Willie attended Johnson C. Smith University, Charlotte, NC, for only two and a half years due to early admission to Meharry Medical College, Nashville, TN, where he graduated in 1948. His Bachelors was conferred in Biology in 1970. He interned at Kansas City General Hospital in Missouri, and completed residencies at Lincoln Hospital, Durham, NC and Wayne State University in Detroit, MI, in Obstetrics and Gynecology (OB/GYN). Dr. Willie, affectionately called “JO”, upon completion of his residencies established his practice in OB/ GYN in Norfolk, VA. While the road wasn’t always easy, he persevered. In 1959, Dr. Willie became the first African-American physician in Virginia and the first African-American in Virginia to be a member of the American College of OB/GYN in VA.
During his career, he served on staff at Norfolk Community, Norfolk General, Leigh Memorial, DePaul, and Portsmouth General Hospitals. He delivered generations of families and his reward was healthy babies, relieving patient suffering and being a patient advocate. Dr. Willie was the voice of the underserved while he supervised and treated patients. He obtained a federal grant to do pap smears for indigent woman while he directed and worked in the prenatal clinic at Norfolk Community Hospital. He continued a successful practice for over 40 years until his retirement in 1997. His professional affiliations included Fellow of American College of OB/GYN, National Medical Association, Norfolk Academy of Medicine, Old Dominion Medical Society, Virginia Medical Society, Norfolk Medical Society, Southern Medical Association, former member of the Executive and Admissions committee of the Department of OB/GYN at Eastern Virginia Medical School (EVMS), Virginia OB/GYN Society and Co-founder of the Hampton Roads Urban League. Dr. Willie was a Lifetime member of the Omega Psi Phi Fraternity, Inc., Beta Kappa Chi Honor Society, Sigma Pi Phi Fraternity, Inc., Beta Lambda Boule’, The National Association of Guardsmen, Norfolk Chapter, H-M Club of America, the Eureka Club, Portsmouth, VA and L.D. Britt Scholarship Committee. JO married his beloved wife, Mary Coleman Willie in 1954 in a union lasting for 57 years until she preceded him in death in 2010. They loved to travel, eat, enjoyed gatherings with their family and friends and raising their dogs. While they did not have any biological children, they were parent figures to many young people. They had the unique gift of giving and not expecting anything in return. His brother Earl and sister Martha also preceded him in death. He leaves to cherish his memory , a brother Charles Willie (TX), devoted nieces and nephews, cherished friend, Joan Edwards, (Portsmouth,VA), Godson, Dr. James Holley, IV ( Lisa, Suffolk, VA), Gregory White, Linda Smith and numerous loving and caring family and friends. Dr. Willie will be surely missed by our family! He was a wonderful friend and doctor to us! He even extended his brother, sister in law, and nephews to come and know us as well! His brother and sister in law took care of me while I was in college at TSU. For that, I am forever grateful. Thank you for your service to many patients and your love for people! Dr.J,as I called him,took me under his wing as a young nurse & taught me all of the Ob-Gyn that I know.He then strongly encouraged me to become a practitioner & he my preceptor…teaching me advanced knowledge. It is because of this & other life tips that my heart is so heavy & sad. I shall always have fond memories of you my mentor,my teacher & my friend.Rest in Peace. Our dearest Cousin J.O., May you find eternal life now in the arms of Jesus. You were a well respected physician in this community. It was great to see you at our family reunion that we hosted here several years ago. We loved your mother (Cousin Beulah) and enjoyed her visits when you would bring her to see our grandmother. Rest In Paradise! I’ve known Dr. Willie for more than 50 years. To know him was to like him. You just couldn’t get around that. He was a great doctor and very well respected by the community. We will miss him. Condolences to the family of Dr. J. O. Willie. Dr. Willie was one of the great OB/GYN doctors at Norfolk Community Hospital. My beloved mother worked at his side in the Operating Room for many years. (Mrs.Tempie G. Walston) I remember forty-two yrs. ago, on a wintry night when snow was coming down heavily, Dr. Willie, my mom, and Mrs. Shirley Sudderth,helped me to bring the most beautiful little baby into the world. My first born daughter. And for that I shall always be ever so grateful. Rest In Jesus Arms Dr. J. O. Willie. My prayers go out to the family and all who remember this wonderful soul. A compassionate healer and genius of a doctor. May your soul rest in peace. My first OB GYN your compassion and assistance will live in my memory forever. Rest in Peace Doc. I AM SO SORRY TO HEAR ABOUT THE LOSS OF MY DOCTOR. HE WAS A GREAT MAN AND WONDERFUL DOCTOR. HE WILL TRULY BE MISSED. YOU ALL ARE IN OUR PRAYERS. MAY GOD COMFORT YOU ALL.